"We have worked closely with Floor Restorer for some of our most prestigious properties and clients across Knightsbridge, Kensington and Chelsea. Over the last five years, Floor Restorer has been exemplary in terms of their knowledge, workmanship and work ethic." 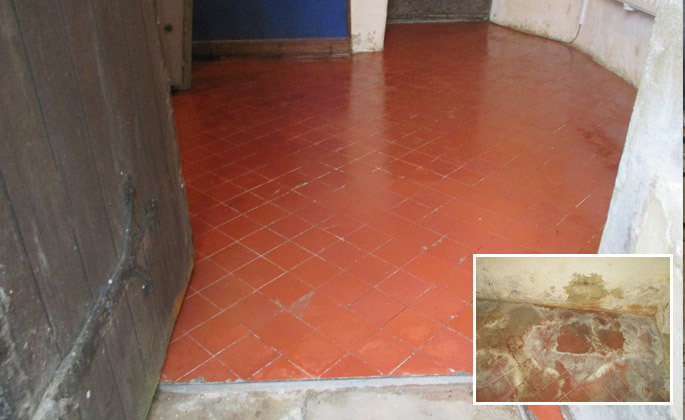 We provide a full range of services on the correct cleaning, restoration and on-going care for stone, terracotta, ceramic and composite floors in the business environment. With our many years’ experience, we have seen many problem floors and can advise on the best solution. We work for facilities managers, cleaning companies, architects, surveyors, building contractors, hoteliers and interior designers. As well as restoration and maintenance we can also provide consultancy and guidance on the correct stone choice for any new stone flooring project. A new floor needs to be “finished” correctly to ensure it is safe and looks its best. Floor Restorer works with developers, architects, builders and installers on new builds and renovations to correct any installation and finishing errors. 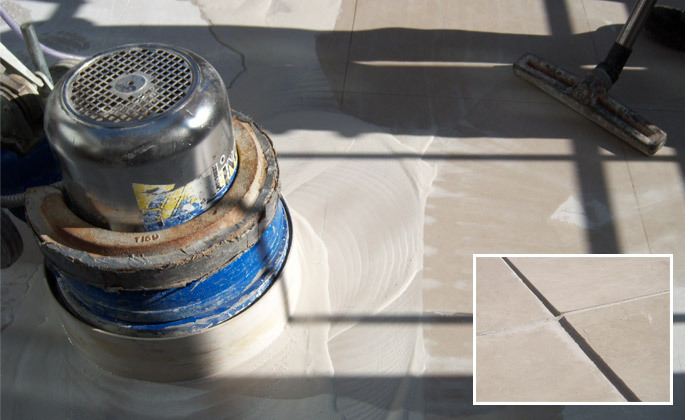 When removing lippage, we use a wet system when grinding which almost eliminates dust. We can also rectify any inconsistencies in the stone that has been laid and apply the correct sealants to keep the floor looking good. Floor Restorer carries out accidental and floor damage repair work on behalf of insurance companies and loss adjusters. Customers approaching us direct to provide quotes for insurance claims will need to supply their insurer’s name and contact details so we can liaise with them. Floor Restorer offers a report writing service when an independent professional is required to advise on a floor. Our service involves a site visit, a consultation, photographs and a written report which can include historical facts and maintenance schedules. This service can be used by domestic and commercial customers including tiling companies and stone suppliers. 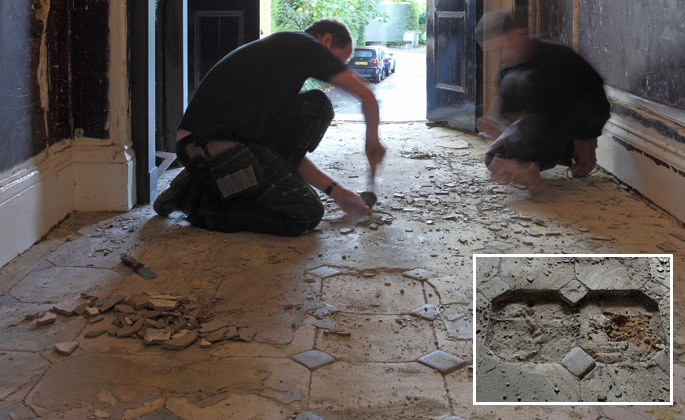 Often a dispute arises over the installation of a badly laid floor which sometimes results in legal action between the builder or customer and the installer. Floor Restorer is qualified to provide an impartial and professional opinion of the floor which can be used in the case.